Step aside Mickey Mouse, help is on the way! 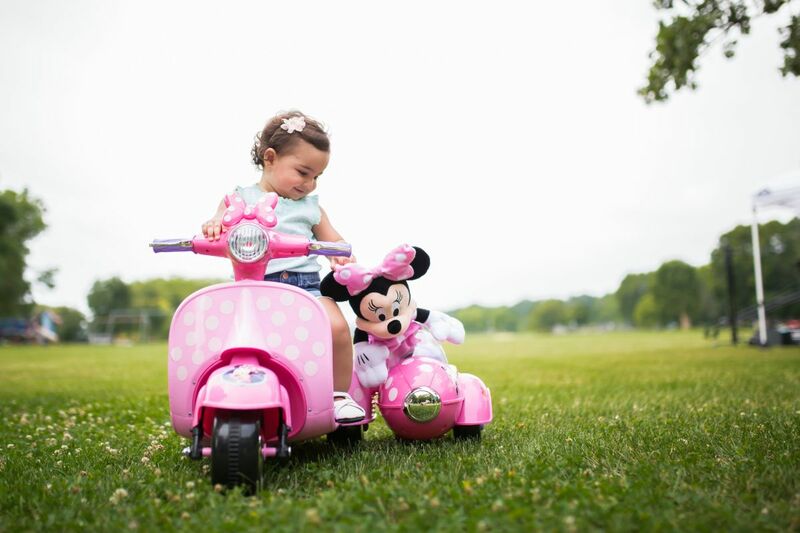 Kick playtime into gear with the 6-Volt Disney Minnie Mouse Happy Helpers Scooter with Sidecar Ride-On from Kid Trax! 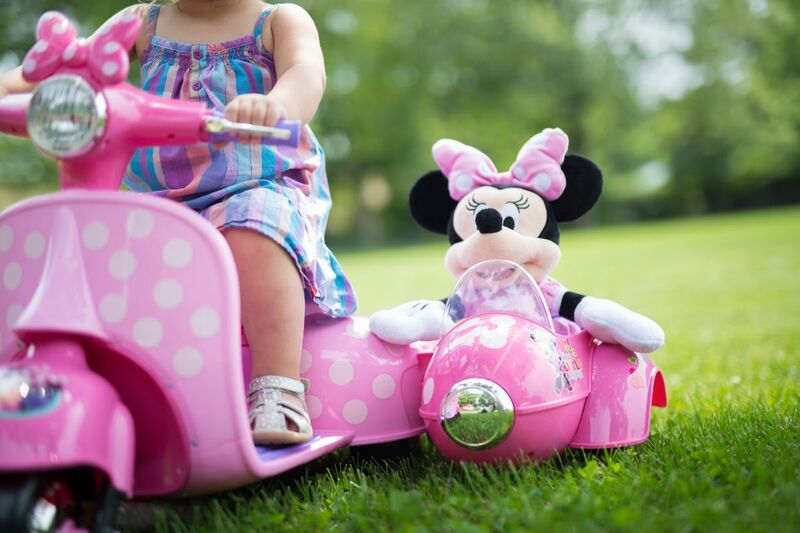 This adorable set of power wheels is perfect for fans of Minnie, Daisy and their group of Happy Helpers. 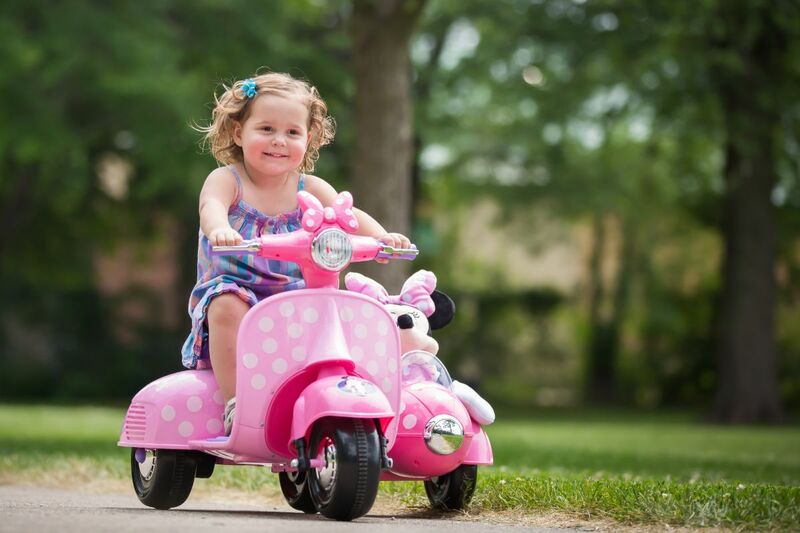 Little drivers will love the sidecar that's perfect for bringing furry friends or dolls along for the ride (5 lbs. weight limit). With a real contoured seat and fake front headlights, there's no end to what young imaginations will create. Endless giggles await atop this cute battery-powered toy scooter that's designed for riders 18 - 30 months old with a maximum weight of 44 lbs. 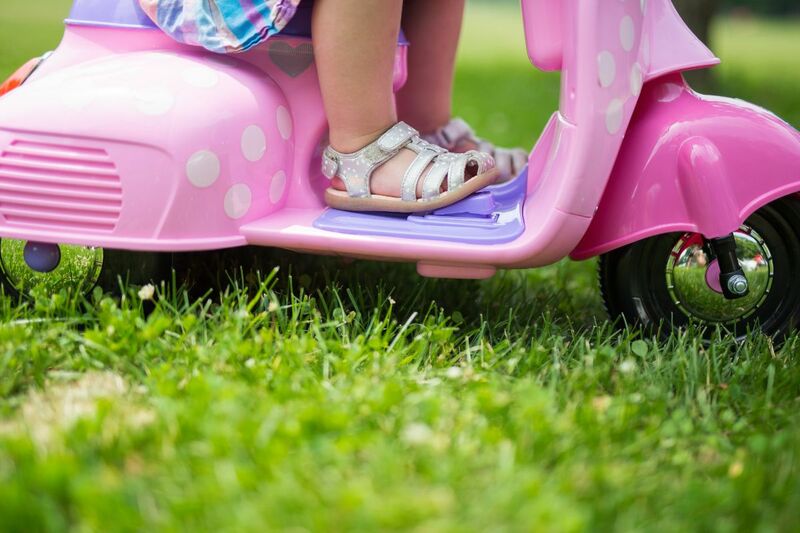 Foot pedal acceleration creates a real driving experience, while the safe 1.5 MPH top speed and Power Trax rubber traction strip tires keep the ride smooth and steady. Use the included 6-volt rechargeable battery and wall charger when it's time for a pit stop. 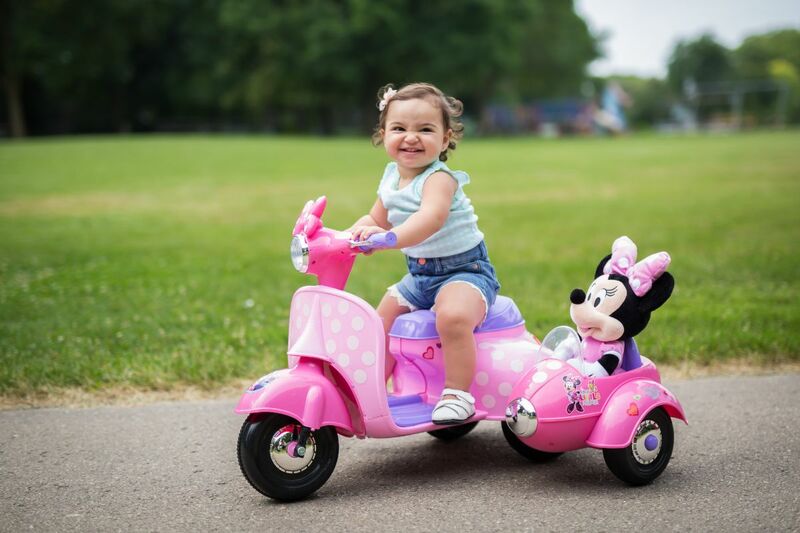 Lend a helping hand with the 6V Minnie Mouse Scooter with Sidecar from Kid Trax! Plush toy not included. Realistic contoured scooter seat is just like the real thing!